Set dhcp pool called “voice” with network 10.14.238.0/24. Enable logging for dhcp conflicts. Set addresses which should be excluded. Set number of pings dhcp server will send to network to check if ip address is free or busy. Set dns server for “voice” pool. Set the option 242 (for Avaya phones) optional! Server dhcp on C3 has more advanced feature like client identifer, assigning ip to mac, netbios node,etc. 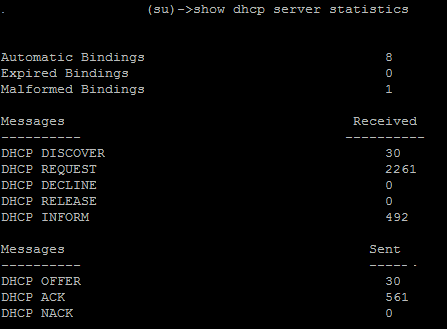 It is realy good alternative to standalone dhcp server.